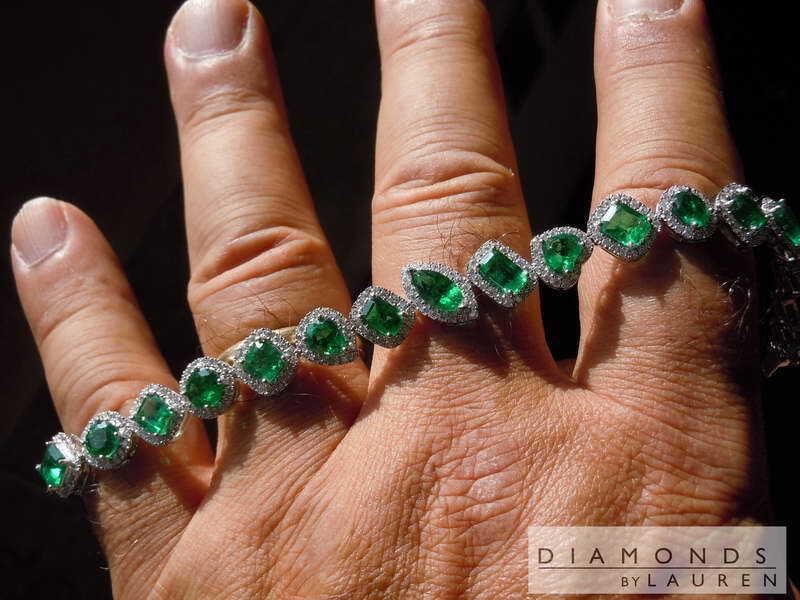 Oh My Goodness - what an amazing collection of Natural Emeralds! There are 18 stones. 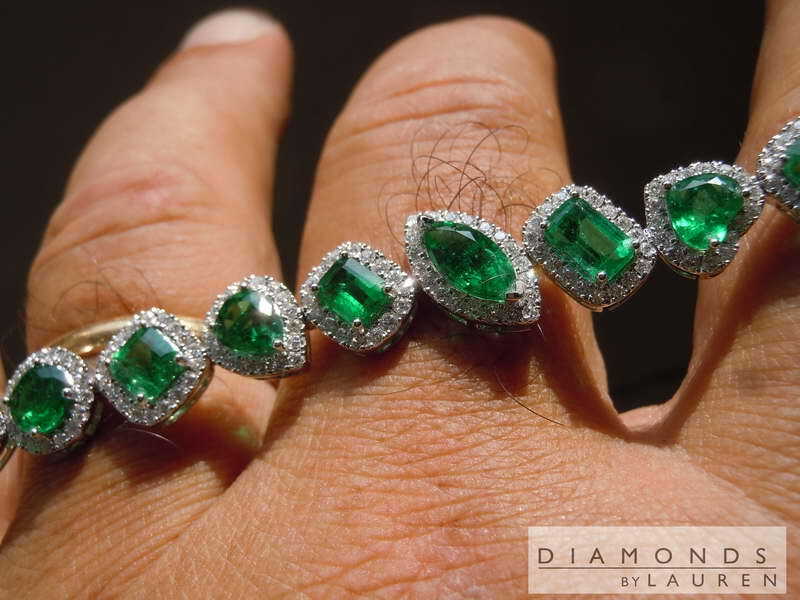 Each stone glows emerald green - and they are all exceptionally bright. 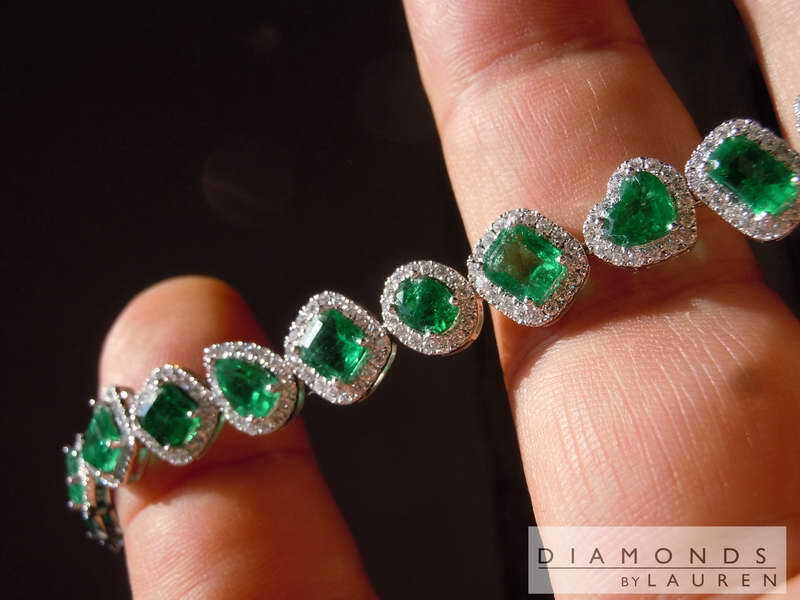 The mount is 18kt white gold and beautifully done. 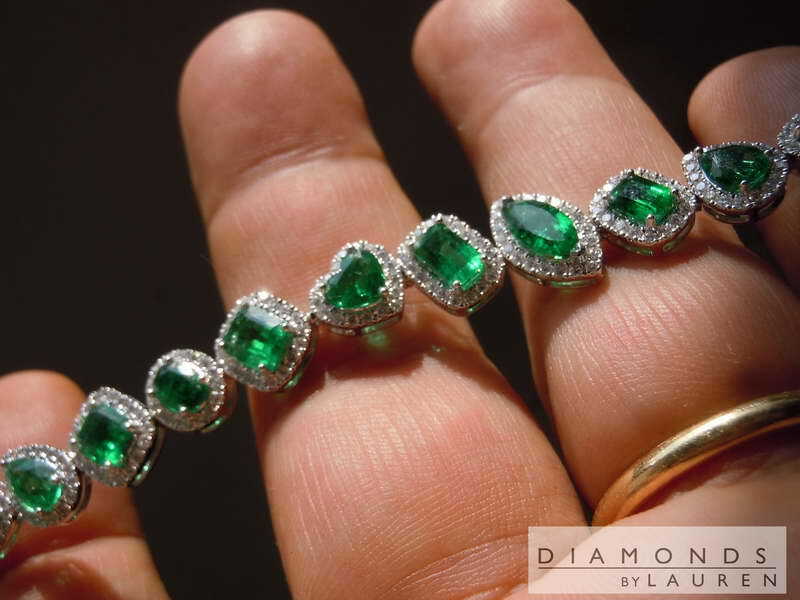 Each link perfectly formed around the emerald it's cradling.